About a day ago there were reports that the next Sony's new 2017 Xperia range will include the image sensors with embedded memory and the ability to shoot slow-motion video at 960 fps. Today a new picture of the flagship device was leaked and it is called Xperia XZ Premium. This device will have a 4K HDR display, Snapdragon 835 chipset and a 20MP camera sensor (1.22um). By the looks of the device which is in the picture we can confirm that this will be a successor to Xperia XZ because the shape looks same as the Xperia XZ. There for this will definitely called as Xperia XZ Premium. After 2015 Sony release Xperia Z5 Premium with the Chrome mirror finish. As this device has the name premium, this will have a chrome mirror finish too. The camera will feature the Motion Eye technology (Once the camera detects motion, it will start buffering, taking 4 pictures in the one second prior to the shutter being pressed and saved) as well as the 960fps slow-motion recording. 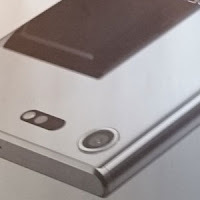 There will also be a super low-light performance and an anti-distortion feature as stated by Xperia Blog. As in the picture you can also notice the clock. This should be a new Sony clock because it is not seen before. Xperia XZ Premium will have the same fingerprint scanner + power button found since the 2015 Xperia Z5 series and a 3.5mm headphone jack and USB type-c port. MWC event will be held on Monday 27 February at 08.30 CET. Stay tuned with XperiBlog.